When it comes to streaming, have you considered any of the “fringe” streaming services out there? When I say “fringe streaming,” I’m not talking about streaming episodes of the sci-fi TV show Fringe. What I’m talking about are streaming services that aren’t part of the “big three” – Amazon, Hulu, and Netflix. That’s why I call these companies “fringe” streaming services, though I might not be able to use that term much longer. In an age where Netflix slowly loses ground, these other companies are wheeling, dealing, and jockeying for a leading place in the lucrative streaming market. Here’s a bird’s eye view of these fringe-yet-up-and-coming streaming services. Crackle is an online distributor of original Web shows, Hollywood movies, and TV shows. The free service is owned by Sony Pictures Entertainment and is free with commercials on all supported platforms. The streaming service features movie titles from Columbia Pictures, TriStar Pictures, Screen Gems, and Sony Pictures Classics. It also offers Sony-distributed TV series such as Damages, Rescue Me, The Shield, and Seinfeld. For fans of original programing, Crackle offers Comedians in Cars Getting Coffee, Chosen, Sports Jeopardy! and more. Crackle counts Aniplex, FOX Digital, Funimation, Lions Gate Entertainment, and Metro-Goldwyn-Mayer among its many content partners. Popcornflix is a website and over-the-top service that offers free ad-supported streaming video of feature-length movies and webisodes. It also provides full-length independent movies and original content, including Web series and film school originals. The service is currently available in the U.S. and Canada, and likely will expand into more territories in the future. Popcornflix is owned by Screen Media Ventures and is available on a variety of platforms that includes: BlackBerry, Boxee, OVGuide, Playstation 3, PlayStation 4, Roku, Windows 10, Windows 10 Mobile, Xbox 360, and Xbox One. 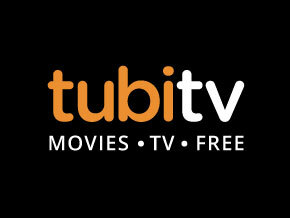 Tubi TV is a free, ad-supported TV and movie platform that available on the Web and online streaming devices. Tubi TV’s claim to fame is having one of the largest libraries of free TV and movies on the Web. Lionsgate, Metro-Goldwyn-Mayer (MGM), and Paramount Pictures are a few of Tubi TV’s content partners. The service is available on its website as well as a variety of Amazon Fire TV, Android, iOS, Roku, Samsung, Xbox 360, and Xbox One. This article is not an exhaustive list. 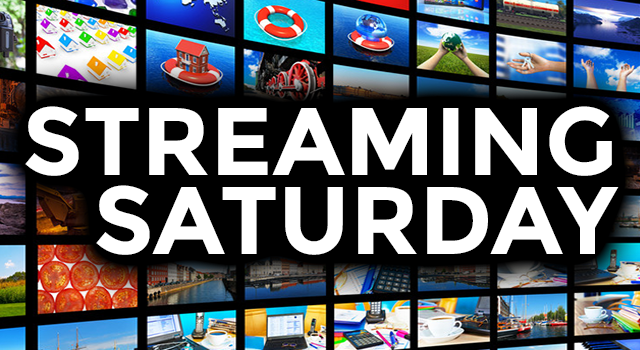 There are even more streaming services out there, including Sling TV, DIRECTV NOW, HBO NOW, YouTube Red, CBS All Access, and Playstation Vue. There’s also a good indication that more streaming services are headed to this very free and open market. For example, CBS and YouTube currently are in talks for YouTube’s new live TV streaming service. Fox and Universal already have struck deals with YouTube. The projected release date for this new streaming service is 2017. As a streaming junkie, I watch a lot of Amazon Prime Video and Netflix. While I enjoy both of these services for their original content, both companies’ video libraries could use some padding. Perhaps this is where one of the above streaming services could come in. What happens if I want to relive my childhood by watching some awesome 1980s teen films? Amazon and Netflix may or may not have All the Right Moves, Tiger Warsaw, or Tuff Turf available for streaming, for example. What to do? I could look beyond the big three to find the titles I want on any number of the fringe streaming services out there.